Liverpool have slammed the door shut on transfer negotiations for top targets Luis Suarez and Charlie Adam, as they despair at inflated fees for their top targets. The Anfield club's American owners have reached the end of their patience in talks for striker Suarez and midfielder Adam, with both potential deals floundering over a massive gulf in valuations. Ajax have insisted that Suarez will cost √Ç¬£30million, while the Reds have offered half that, with chairman Tom Werner insisting the Dutch club's figure is simply unreasonable. Liverpool have now conveyed a similar sentiment to Blackpool over a proposed deal for Adam, who is rated by his club at √Ç¬£14million, while the Merseyside outfit have offered √Ç¬£4.5million. Adam has put in an official transfer request and Suarez has now held talks with Ajax in a bid to persuade them to be more reasonable over a price before the window closes at the beginning of February. And Werner has made it clear that unless the fees come down before the end of the transfer window, then his club will switch targets or even leave January without any new signings. 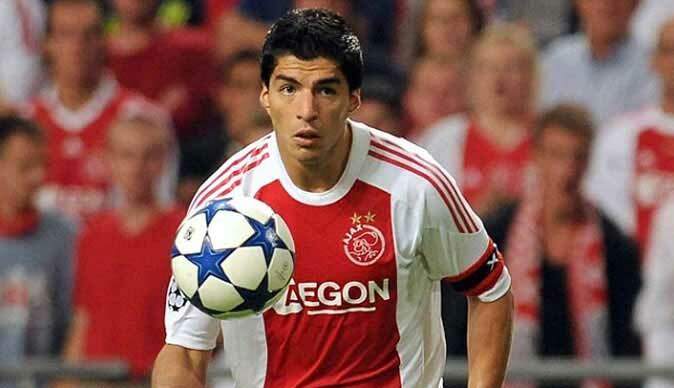 Ajax boss Frank De Boer has cheekily set a Saturday deadline for any deal to be done for Suarez, and suggested that, after that date, the fee will rise by another √Ç¬£5million. But Liverpool will stick to their guns and refuse to talk further, in the hope that the Dutch club come to their senses and accept a more reasonable valuation in line with average European transfer fees, rather than those artificially inflated by Manchester City's millions. Liverpool have been watching a host of other players, and if they can't get Suarez they will look towards Ashley Young at Aston Villa √¢‚Ç¨‚Äú though his price is also high √¢‚Ç¨‚Äú and Wigan's Charles N'Zogbia.